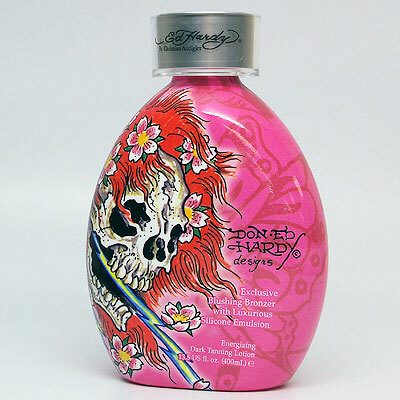 Ed Hardy Tanning Lotion: What Makes it Different? 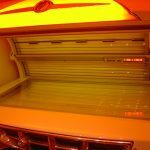 To all the tanning users who are very particular about the flavor and odour, here’s good news for you. Ed Hardy Coconut Kisses Golden Tanning Lotion provides your entire requirement! Coconut milk and coconut oil lavish your skin to ultra softness. Kissed with coconut, you can escape to the tropics sitting right at your place. This lotion is skin friendly, moisturizing your skin properly. The bronzing agents used in the least quantities, the bronze intensifier give you a dark golden look enriching your skin with the right amount of tan. 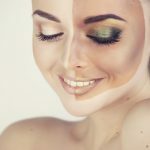 You’ll be astonished by some of the ingredients in this bronzer just for your skin, to give it a sensuous look. The quad tyrosine blend along with the melanobronze stimulates the melanin content in your body to enhance the tanning effect. The melactiva helps in keeping the effect of the melanin last longer while nourian stimulates the tyrosine to give an even and lasting look. The body fit reduces the appearance of cellulite and promotes extra firmness. Also, the tattoo fade protector prevents any damage to your skin cell. The cocoa butter hydrates you to the exact amount required for your skin. This lotion is a beautiful bronzer with mild effect on your skin. Even if you are a naive user, the bronzer is worth trying at least once. As the burning sensation isn’t too much, you’ll be in love with the smoothness of the lotion. The users have rated the bronzer as a good one for all start-ups. Though the cream isn’t as smooth as other silicone emulsions, yet the smoothness is enough to prevent any sticky or greasy feeling. A beautiful lotion for everyday use even on belly and thighs. Easily drying on the skin and good to smell, nothing as that of a paranoid, the lotion goes well with an affordable price. The supply of the cream is restricted to shipping in the United States and few other places. This product contains no DHA or Erythrulose. 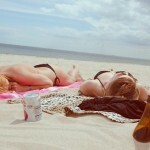 The Cyclopentasiloxane and Dimethicone work as a beautiful pair of silicones for tanning. The fragrance is not at all girly which gives it another ‘yes’ for all users, irrespective of gender. But one of the major cons of the product is that it contains propylene glycol which is not an exquisite preservative. 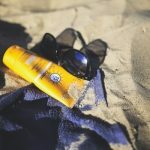 Other than this, this lotion has remarkably proved itself a winner in all terms, including the appearance of the product itself which is undoubtedly cool! The product has dimensions 6×4×2 inches which make it handy as well. The manufacturing of the product is done by the same reputed company, Ed Hardy and is available on different online shopping sites as well through many sellers. So, the product is quite much in demand and has been winning hearts since its release in the market since October 2012. It has rapidly gained abundant fans. A complete yes for all types of users, naive to avid, girl as well as boy, a tanner for all skin type. The price is much less compared to its substantial work giving it. We strongly recommend you to give it a shot. Check out this great selection!